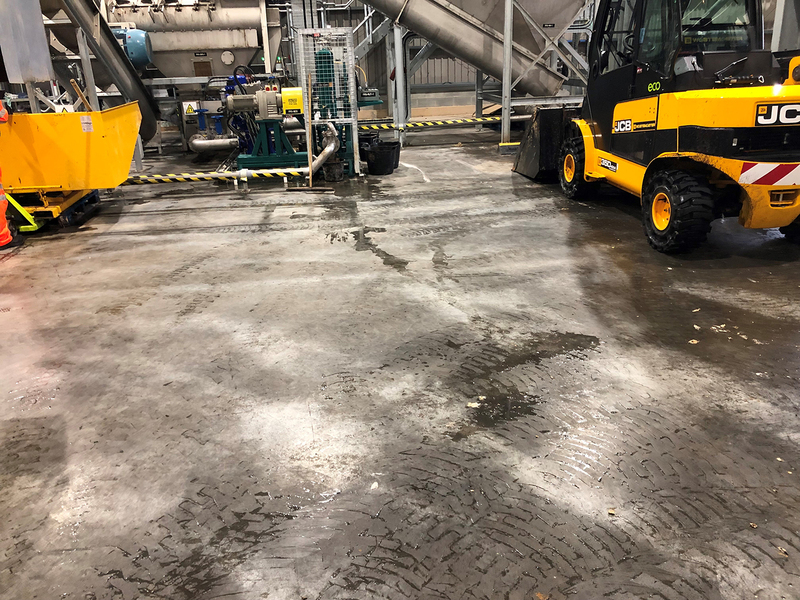 Level Best Concrete Flooring has returned to Guernsey to carry out anti slip treatment to areas of the waste recycling concrete floor slab they carried out the previous year. The client has said the floor surface finish is so good it is creating a concern with regards to foot trafficking in the production areas. The anti slip floor treatment is being carried out throughout the night and over weekends in order to minimise disruption for the client. If you require further information on the different types of anti slip floor treatments Level Best can offer then please contact either Matthew Lill or Jon Wilcox On 01405 819199.